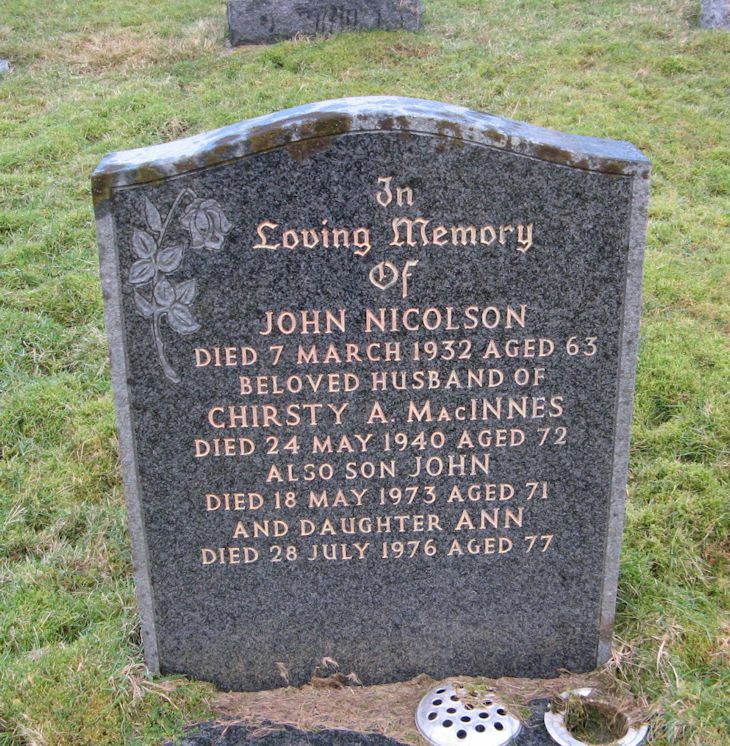 Skye Gravestones | John & Chirsty (MacInnes) Nicolson & family. John & Chirsty (MacInnes) Nicolson & family. In/loving memory/of/JOHN NICOLSON/died 7 March 1932 aged 63/beloved husband of/CHIRSTY A. MacINNES/died 24 May 1940 aged 72/also son JOHN/died 18 May 1973 aged 71/and daughter ANN/died 29 July 1976 aged 77.